The PM will also lay the foundation stone of National Institute of Ayurveda in Panchkula which is being set up at Shri Mata Mansa Devi Temple Complex. 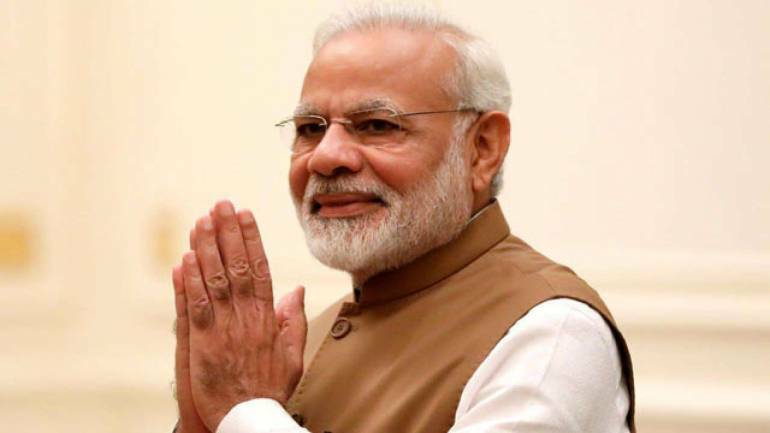 Prime Minister Narendra Modi will visit Haryana's Kurukshetra on Tuesday where he will launch a series of projects, including a cancer institute. He will dedicate to the nation the National Cancer Institute at Bhadsa in Jhajjar district. The 700-bed hospital will have facilities like surgical oncology, radiation oncology, medical oncology, anaesthesia, palliative care and nuclear medicine, besides hostel rooms for doctors and attendants of cancer patients, a statement from the prime minister's office said here. Modi will also inaugurate Employees' State Insurance Corporation's (ESIC) medical college and hospital in Faridabad. This will be the first ESIC medical college and hospital in north India. Modi will then lay the foundation stone of 'Battles of Panipat Museum' in Panipat. The museum will honour the heroes of various battles of Panipat. The museum is in line with the Union government's initiative to honour the unsung heroes of India who have contributed greatly to nation building, the statement said. Swachh Shakti-2019 is a national event to be attended by women panchs and sarpanchs from across the country. It is expected that 15,000 women will take part in the event this year. The programme is aimed at empowering women.